Any semi-regular follower of my scribblings will have realised that my reading and reviewing time has been dominated over the past month or so by vicarious Man Booker International Prize travels, and while I do have plans for a little rereading before the winner is announced, I should be a little freer now to try some other books. So, what will I be reading next, and what might you be seeing reviews of in the near future? 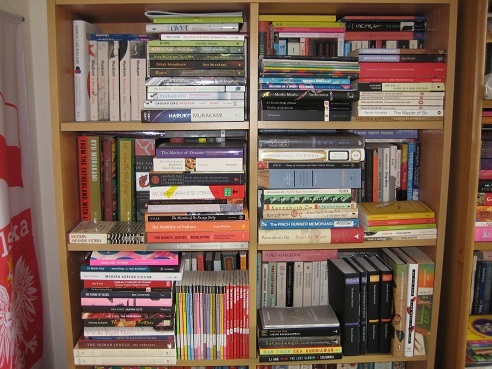 Well, thanks to a few friendly publishers (and online booksellers…) I’m rarely short of options, and I’ve had a look around to pick out the most likely candidates. I reserve the right to change my mind, though. Firstly, I’m keen to get back to my J-Lit reading, and I have plenty to keep me occupied here. 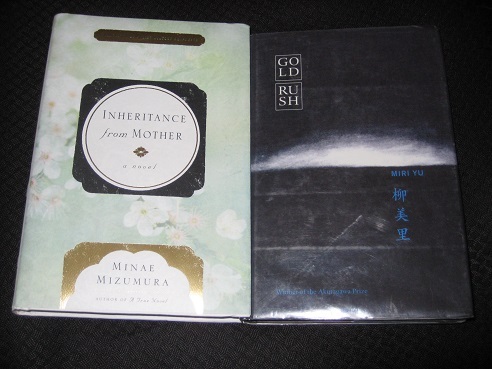 Minae Mizumura has both impressed (A True Novel) and depressed (The Fall of Language in the Age of English) in the past, but I have high hopes for her latest novel, Inheritance from Mother (translated by Juliet Winters Carpenter: published by Other Press). A writer new to me is Yu Miri, a so-called Zainichi Korean (a Japanese person of Korean ethnicity) writer, and I’m eager to try her novel Gold Rush (tr. Stephen Snyder: Welcome Rain Publishers), especially as a little bird has told me that there’s more from her on the way. That’s not all from Japan. I was recently promised a few books by the University of Minnesota Press, including a new translation of a classic Japanese novel, The Book of the Dead (tr. Jeffrey Angles), which I’m particularly looking forward to. Then, of course, there’s the beautiful little bundle of books I received recently from Strangers Press, a new project associated with the British Centre for Literary Translation at the University of East Anglia. 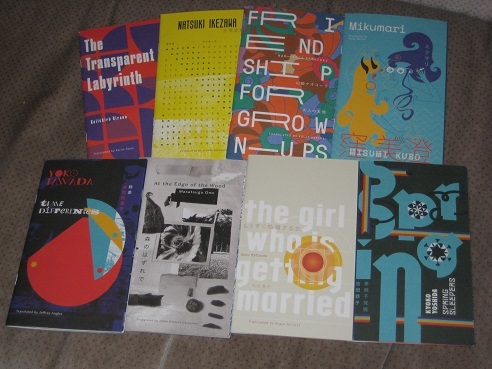 Keshiki – new voices from Japan comprises eight longish stories by contemporary writers in chapbook form, and they look wonderful. With authors such as Yoko Tawada and Nao-Cola Yamazaki involved, this is a series which will appeal to most J-Lit aficionados. However, if the Japanese books have been piling up over the past month, my Korean collection hasn’t lagged far behind, and I’ll be getting back to my K-Lit reading very soon with a couple of big names. 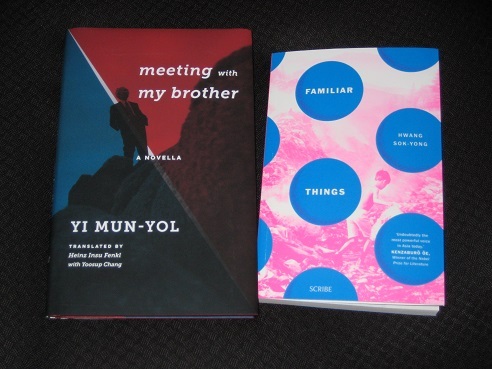 Yi Mun-yol’s North-South relations novella Meeting with my Brother is a story I read a few years back, but I’m keen to check out Columbia University Press’ new edition, translated by Heinz Insu Fenkl with Yoosup Chang. Meanwhile, Hwang Sok-yong is back with another new novel, and Familiar Things (tr. Sora Kim-Russell) sees the writer examine life on the margins with a fairytale-like story set on the dark fringes of Seoul. Speaking of fairytales, the latest offering from Tilted Axis Press is Han Yujoo’s The Impossible Fairytale (tr. Janet Hong), and while I didn’t quite manage to get a review out for the publication date (it was released on the 5th of May! ), look out for a post very soon. That’s not all from Korea, though. I still have several of the K-Fiction books from ASIA Publishers to get to, not to mention several titles from Dalkey Archive Press’ Library of Korean Literature. 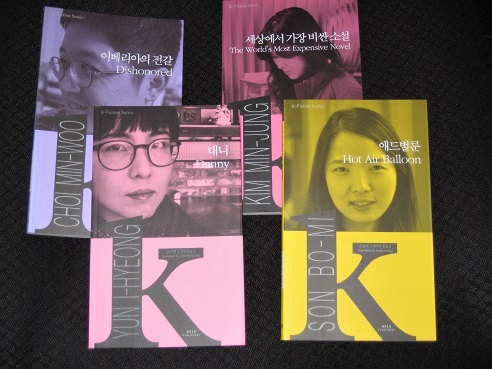 Of these, the one I hope to get to soon is Ch’oe Yun’s novel Mannequin (tr. Jung Yewon), but there are many others that also appeal. If I’m lucky, the review copy of Bandi’s The Accused (tr. Deborah Smith) I was promised a while back might even turn up soon, extending my Korean knowledge even further north. I’m reading the Hwang Sok-Yong right now and really loving it. That all sounds very interesting – much as I loved the MBIP reading it’s good to get back to your own choices. I look forward to discovering what I should pick up from that long list. Grant – Yep, after a month or so of ‘forced’ reading, it’s nice to have a little more choice (even if the majority of these are review copies! ).